No, it’s not a part from a rocket ship. And no, it’s not from a DIY, at-home chemistry set. When your mechanic tells you that you need a mass air flow sensor replacement in St. Charles, what they’re saying is that your vehicle is no longer correctly measuring how much air is reaching your engine’s internal chambers. Why is this important? Because the ratio of fuel to air actually has a big impact on your car’s performance. Too little and your engine might be plagued by hiccups. Too much and a heavy idle could cause extra wear and tear. Just like Goldilocks, what you want is that perfect balance of air and fuel that’s just right. Start and Stall – Your engine rolls over and starts, but immediately dies after starting. Acceleration Jerkiness – As you speed up, your engine hesitates before pushing forward. Uphill Problems – When driving up a hill, your engine seems to drag much more than usual. Unusual Idling – If your car is idling in a strange manner (either high or low), then it could be the MAF Sensor. How Do I Know It’s the MAF Sensor? The only real way to identify a faulty MAF sensor as the culprit is to have a complete diagnostic run by a professional auto repair and maintenance shop. The resulting diagnostic report can be evaluated by a technician at the shop and they should be able to advise whether cleaning your sensor may be enough or if a full mass air flow sensor replacement in St. Charles is necessary. Keep in mind that a good rule of thumb is to have your MAF sensor cleaned at every oil change to extend the part’s life. How Much Will a St. Charles MAF Sensor Replacement Cost? The truth is that prices can vary dramatically for a full replacement of the MAF sensor, ranging from about $200 up to nearly $500. 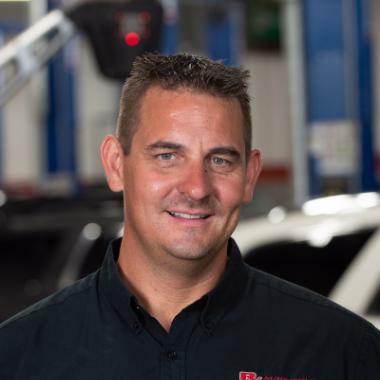 While labor costs at a reputable St. Charles shop like Rx Auto will stay the same regardless of the make and model of the vehicle, the actual parts cost can be quite different. In general, imports and less common vehicles will cost more while models with higher numbers on the road will have a lower parts cost. At Rx Auto, we’re available to complete mass air flow sensor replacements in St. Charles for all makes and models. We’ve got a large inventory of MAF sensors on hand and even if your model isn’t in stock, we can quickly have it delivered to our local shop. To find out more about MAF sensors or to pencil yourself in for a replacement visit, dial (630) 443-8500 and speak to a friendly, helpful member of the Rx Automotive team.